AHB Electrical Services was established in 1996 and has gone from strength to strength, ensuring a prompt and professional service. In this time we have undertaken a wide variation of work, from large commercial installations to household lighting and power outlets. We have extensive experience and knowledge in the installation and maintenance of fire alarm systems, electrical safety inspections, PAT testing and domestic rewiring. 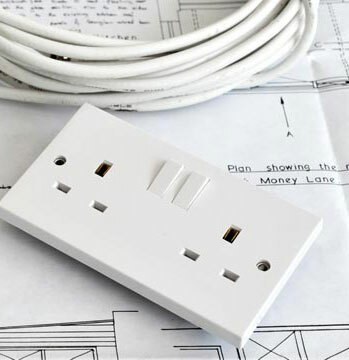 AHB Electrical Services are NIC EIC approved electrical contractors, certified to carry out installation and maintenance to the current standards of BS.7671 and are fully Part P compliant. We are also Trustmark registered which provides a government-backed warranty scheme. If you want to know more about what services we offer give Adrian a call today.